Step 2 - Note the naming details. 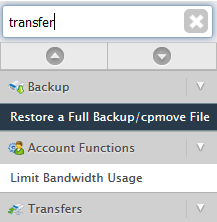 Your cpmove file should be named like this by default. 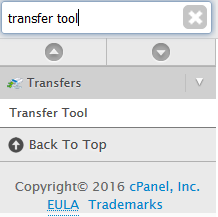 Note: If you already have a cPanel account with the same username and you wish to completely overwrite it select "Overwrite the existing user". 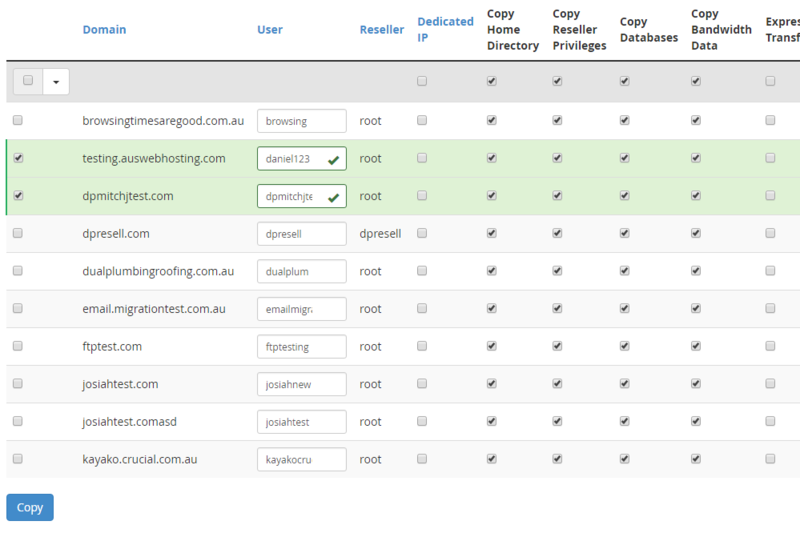 Just note this will delete all data in the existing cPanel account. This method is for advanced users only. 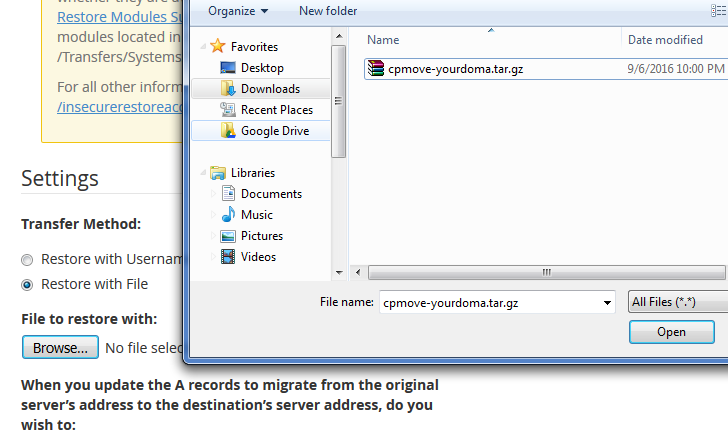 It is the fastest method as it transfers directly from server to server. 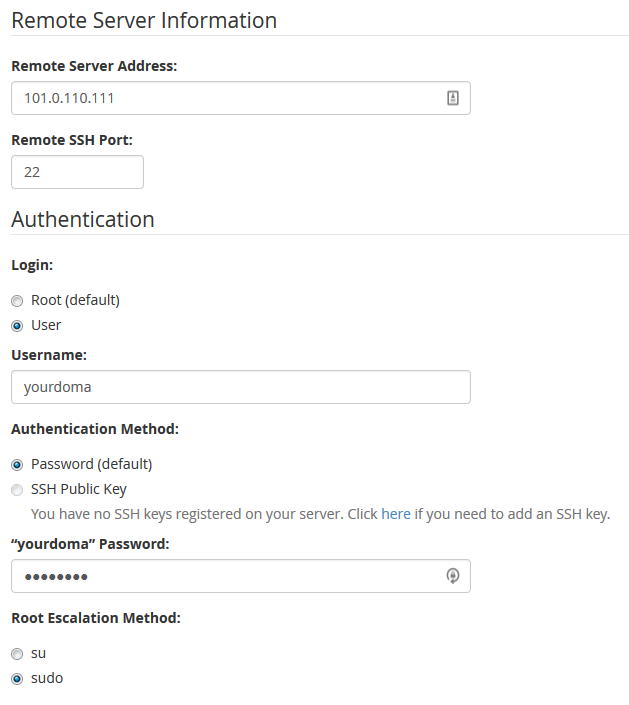 However, it does require that you either have root access to the source server or the cPanel user has root privileges. 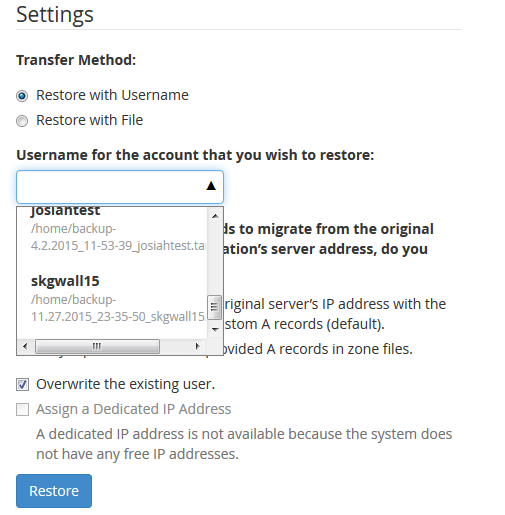 Step 3 - Note the security warning, select Restricted Restore if you have any security concerns with the source server, and click Fetch Account List.